BRING ALL OFFERS. Two adjacent lots each with their own gardens! There is a large contemporary/rustic 3 bedroom, 2 bath home with cathedral ceilings and exposed beams. Home set up for off-grid living with Solar panels, propane stove, wood stoves and wired hookups for generator backup. With some clean up repairs, this could be a wonderful home. 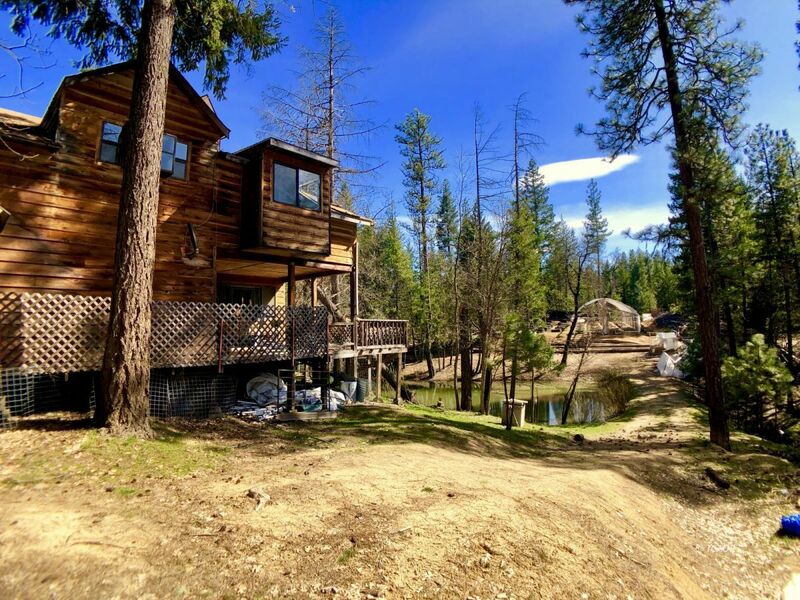 There is a good producing well per owner and a small pond on the property. The large garage/barn has room for two cars, a workshop area and has an upstairs area... all of which has been completely insulated with reflective panels. Garage/Shop wired and prepped for indoor. The wrap around deck would make for great outdoor entertaining in the summer, overlooking the pond. Fully fenced with numerous other outbuildings. Bring your critters and toys! Call/Text/Email for a showing!